GIS technology is both intuitive and cognitive. It combines powerful visualization and mapping with strong analytic and modeling tools. Remotely sensed earth observation—generally referred to in GIS circles simply as imagery—is the definitive visual reference at the heart of GIS. It provides the key—the geographic Rosetta stone that unlocks the mysteries of how the planet operates and brings it to life. 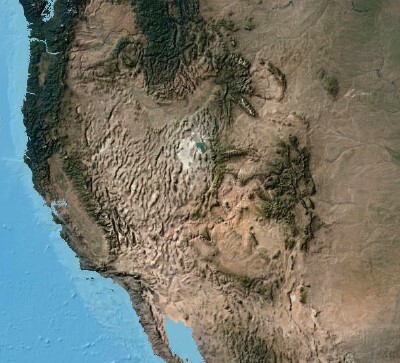 When we see photos of Earth taken from above, we understand immediately what GIS is all about. The story of imagery as an earth observation tool begins with photography, and in the early part of the twentieth century, photography underwent extraordinary changes and social adoption. Photos not only offered humanity a new, accessible kind of visual representation—they also offered a change in perspective. The use of color photography grew. Motion pictures and television evolved into what we know today. And humans took to the sky flying in airplanes, which, for the first time, enabled us to take pictures of the earth from above. It was a time of transformation in mapping and observation, providing an entirely new way of seeing the world. 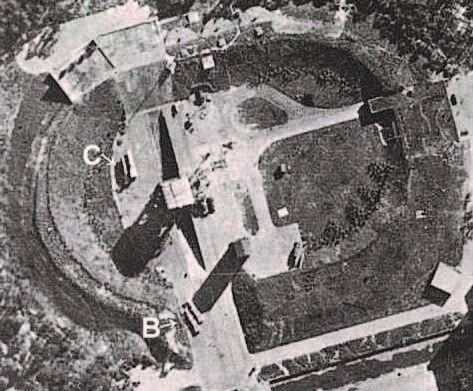 During World War II, major advances in the use of imagery for intelligence were developed. The Allied Forces began to use offset photographs of the same area of interest, combining them to generate stereo photo pairs for enhancing their intelligence gathering activities. In one of many intelligence exercises called Operation Crossbow, pilots flying in planes—modified so heavily for photo gathering that there was no room for weapons—captured thousands of photographs over enemy-held territory. These resulting collections required interpretation and analysis of hundreds of thousands of stereo-photographic pairs by intelligence analysts. Stereoscopic imagery was instrumental in identifying the facilities of Nazi rocket programs. This photo shows stereo glasses used for viewing offset photo pairs. These 3D aerial photographs enabled analysts to identify precise locations of highly camouflaged rocket technology developed by Germany. This was key in compromising the rocket systems that were targeting Great Britain, thus saving thousands of lives and contributing to ending World War II. The BBC did an excellent documentary on this subject (Operation Crossbow: How 3D glasses helped defeat Hitler). This June 1943 photograph was the first to reveal functional weapons. Two V2 rockets 40 feet long are seen lying horizontally at (B), but only in December was it realized that the structure at (C) was a prototype flying-bomb catapult. In the early 1960s, the majority of people would probably have said it was impossible for a human being to walk on the moon. But in July 1969, televised images transmitted to Earth from the moon showed Neil Armstrong and Buzz Aldrin bounding across the lunar surface, proving that moon walking was more than conceptually possible—it was happening right before our eyes. Seeing was believing. 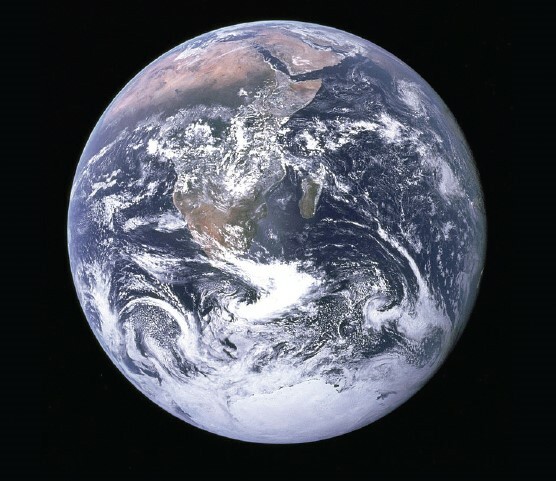 In December 1972, Apollo 17 astronauts captured this iconic photo of Earth from space—the famous “Blue Marble” photograph, offering humanity a new perspective about Planet Earth and our place in the universe. When Armstrong, Aldrin, and the ensuing lunar astronauts pointed their cameras back at Earth, an unexpected benefit became apparent: humanity now had a completely new perspective about our home planet—heralding the adoption and use of earth imagery. 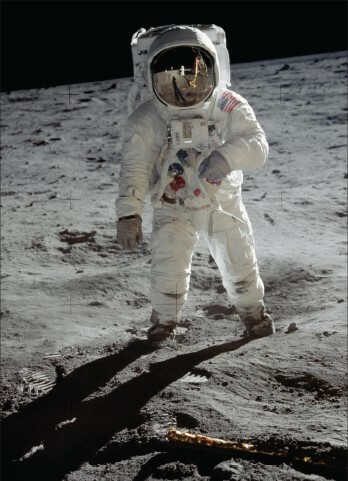 Astronaut Buzz Aldrin, from the Apollo 11 mission, on the moon in July 1969. Photo by Astronaut Neil Armstrong (visible in Aldrin’s face shield). In 1972, the same space technology that was developed to put humans on the moon led to the launch of the first Landsat satellite. The Landsat mission gave us extraordinary new kinds of views of our own planet. This was a breakthrough system and the first civilian-oriented, widely available satellite imagery that not only showed us what was visible on Earth—it also provided a view of invisible information, unlocking access to electromagnetic reflections of our world as well. We could see Earth in a whole new way. 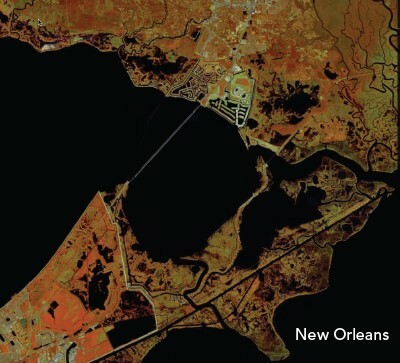 Landsat sensors have been continually generating and sharing pictures of the earth since the 1970s. Early on, scientists were excited by the valuable new perspectives being generated. This persistent earth observation program continues to this day along with hundreds of other satellites and remote sensing missions as well. Nation states and, more recently, private companies have also launched numerous missions to capture earth imagery, allowing us to continuously observe and monitor our planet. Today, huge numbers of satellites image the earth thousands of times daily, creating a massive and virtual image catalog of our planet. Web GIS is tapping into these images to enable practitioners to address a broad array of questions and challenges that we face as Earth’s stewards. In the run-up to the Apollo moon landings, Apollo 8 was the first mission to put humans into lunar orbit. And on Christmas Eve 1968, coming around from the far side of the moon during their fourth orbit, Apollo 8 commander Frank Borman exclaimed, “Oh my God, look at that picture over there! Here’s the Earth coming up! Wow, that is pretty!” Fellow astronaut Bill Anders grabbed his Hasselblad camera and shot this now-famous image of Earth rising above the moon. It’s one of the most frequently reproduced and instantly recognizable photographs in history. The US Postal Service used the image on a stamp. Time magazine featured it on the cover. It was—and still is—“the most influential environmental photograph ever taken,” according to acclaimed nature photographer Galen Rowell. 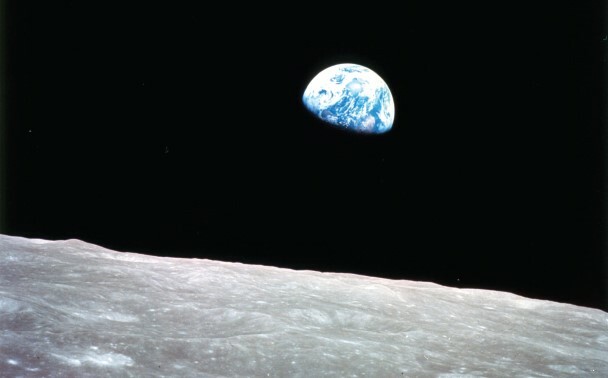 In his book Earthrise: How Man First Saw the Earth, historian Robert Poole suggests that this single image marked the beginning of the environmental movement, saying that “it is possible to see that Earthrise marked the tipping point, the moment when the sense of the space age flipped from what it meant for space to what it means for Earth.” The power of imagery can be neatly summed up in the story of this single photograph. Images can help us to better understand our planet, drive change, create connections—and in some cases even start a movement.